At Prestige we focus on Great Service and Customer Satisfaction. Here at Prestige we pride ourselves in giving the best service to our customers and their appliances. 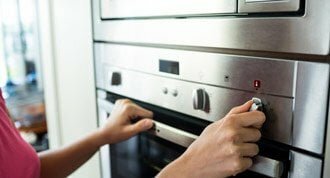 We have been servicing Adelaide’s ovens and European appliances for over 25 years and are the only authorised repairer in Adelaide for most brands we service. One reason for our success is the relationship and trusts we have with the manufactures which has been consistent for many years. Having the support and up to date training by these manufactures, including all the relevant state licences, means that we can guarantee your appliance is repaired promptly with the latest information, correct parts but more importantly genuine parts. 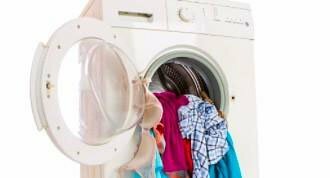 Our washing machine specialists can help repair your top-loader, front-loader or washer-dryer combo machine. To ensure the smooth running of your dishwasher, and provide you with a clean wash each time, Your dishwasher should be serviced every couple of years. 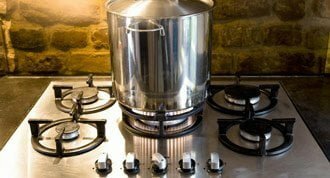 The oven is the heart of the home, So with this in mind the oven should be serviced every two years, to ensure the safe and efficient operation of the oven. Labour Guarantee: Standard guarantee of 3 months on all work carried out. Spare Parts Guarantee: Manufacturer’s guarantee of 6 or 12 months depending on the part. No Second Visit Fee: If on the unlikely chance that we have to come back to finish the repair. there is no call out fee attached for the return visits. I was very happy with the service that I received from Dwaine this is the second time that he has came to repair items for me and I was very happy how fast he found the problem and fixed it.. I was very happy with the excellent service provided by the technician you sent to repair my fridge, Dwaine. Thank you. I wouldn't hesitate to recommend your services. To Les, thank you for your great work. Your efforts were much appreciated. Lovely manner, explanations and care with the oven installation. I could see that you take pride with your work. All the best, Maria P.
It was a pleasure to have a professional technician in Les attend to our rangehood problem and resolve it to our satisfaction. More than we can say for some other experiences we have had in the past from other companies. You’ll feel good with Prestige working for you. Prestige Appliance Repair Centre was established in 1989. We are dedicated to quality repairs and customer service with a polite and friendly attitude. We embrace technology to provide you with efficient service. There have been a lot of changes and improvements to appliances in the last 30 years, including the increased use of electronics, programmable electronics and induction. At prestige we are experts in our fields. You can be confident in our full support of any work we do. Our service technicians are connected to the main centre via the Internet. Should parts need to be ordered, they can place the order directly from your premises.